February 5 is National weatherman's day. I read about it in Carrier Pigeon, a free magazine that I receive in the mail each month. They have something special for each day of the month. Read my blog tomorrow if you would like to know about what we will be celebrating tomorrow. Have a good 2019. Good morning, Gita- - -they may be maligned from time to time(err often) but weather forecasters deserve love and appreciation too. Michael, today is their day. I've been watching the Today show this morning and Al Roker is well aware of his day. Gita, did not know they had their own special day -- cheers to our weather people! The weatherman is happy in Maryland today. We have mild weather and much of our snow has melted. I was checking for ice damage this morning. Good afternoon Gita - I am really happy with the weather man today. Hope he keeps these days coming. 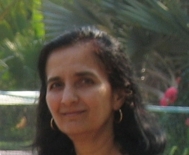 HI Gita Bantwal - I just posted my Weather blog! Who knew! The weathermen have had their hamds full. Last week we were in the teens & today we're in the 70's. They need a day to recoup. Joan, they deserve their special day. Endre, I would not want that job because I would not want to be recognized by people on the street when I am wrong.